Tomato season is slowly coming to an end! I have been trying to keep up with the cherry tomato's! I have also been fighting with different bugs who happily moved in on my Tomato's. 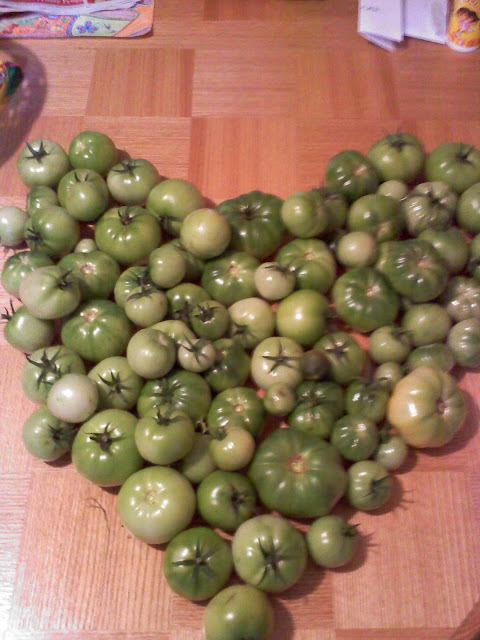 I have started picking alot of the green Tomato's and I am letting them ripen under the skylight in my kitchen. I picked about half of what was out there and hopefully this weekend I will pull out the rest and just continue to grow the cherry type tomato's. I am also finally starting to get alot of Tomitillos! So I will be making lots of Salsa Verde soon! 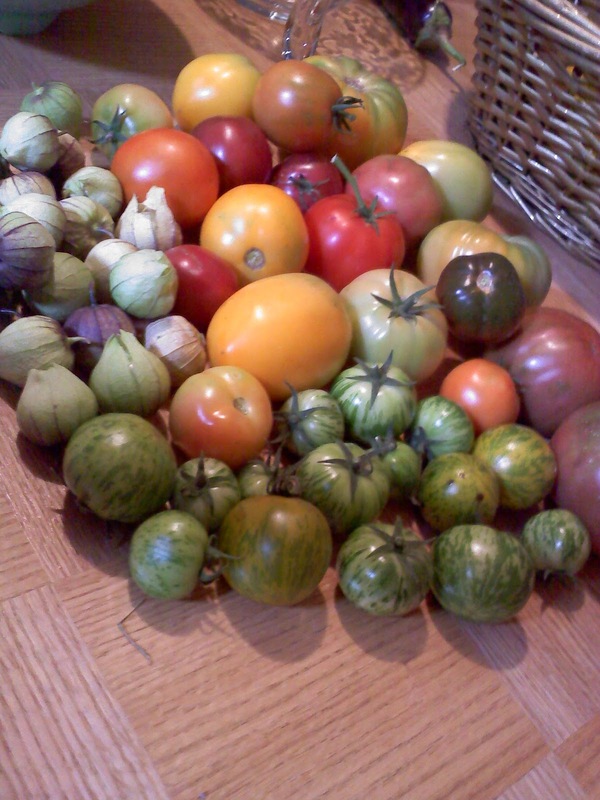 Here is a pile of some other Tomato's I have picked! 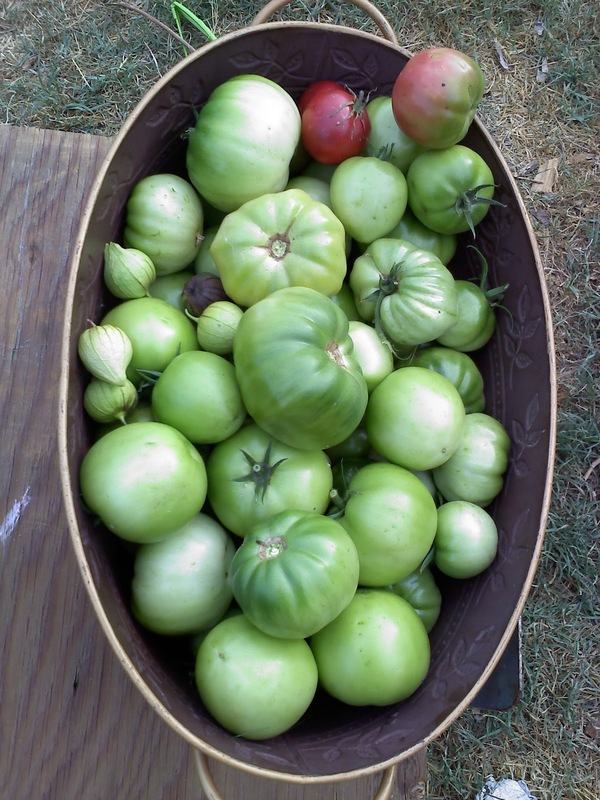 I will be making lots of sauce and canning diced tomato's this weekend! 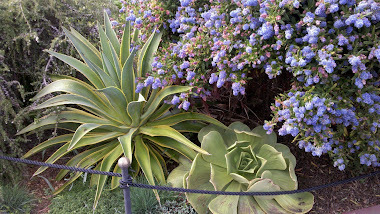 In other garden areas things are unwinding! My herbs are all starting to flower. 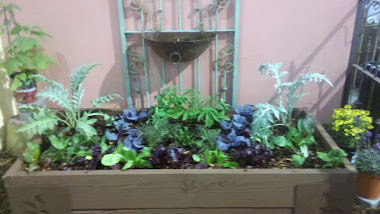 Hopefully I will be saving some seeds from many differnt herbs this year! 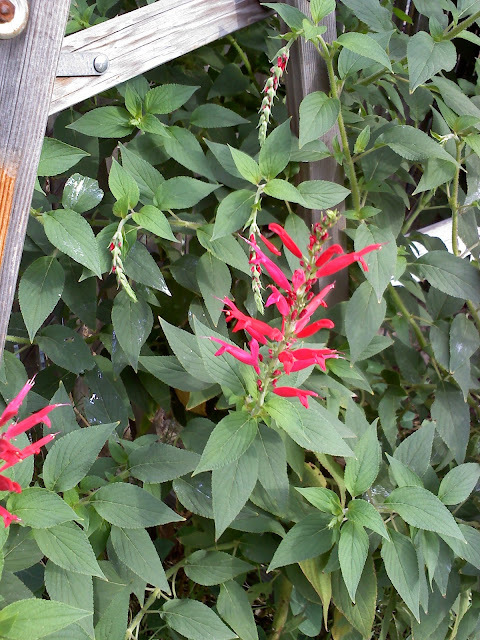 Pineapple Sage has very pretty red flowers! This was just a fun picture! It's my I heart Tomato's picture! As today is the first day of fall. Which is exciting! 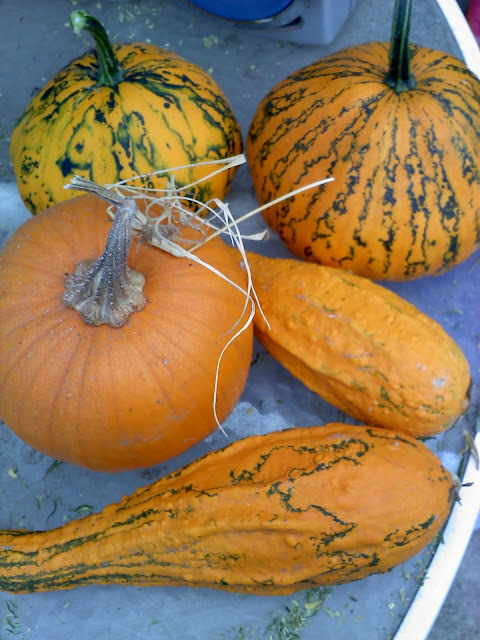 Here is my first pumpkin and a few fall colored squash to get me started. 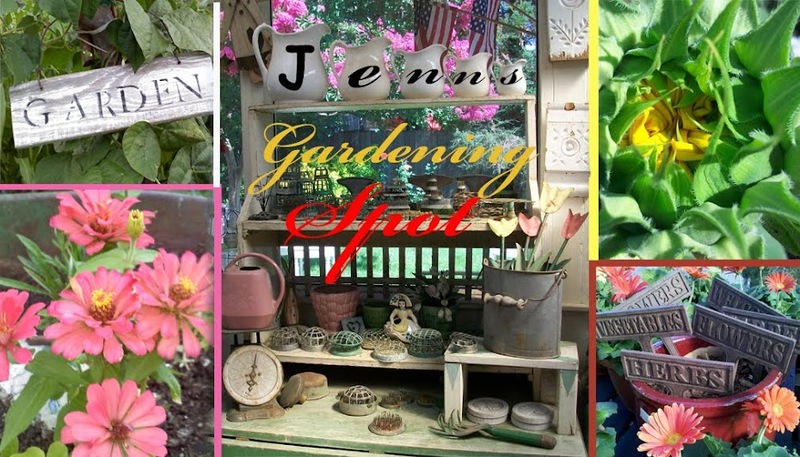 I am also going to use the corn stalks from my garden as decoration this year! What are you looking forward to this fall! Im looking forward to our annual trip to Apple Hill and carving pumpkins! mmmmm salsa verde rules! Looking great, Jenn. Have you ever heard of people using green tomatoes instead of tomatillos? Maybe that's a local thing but I prefer buying the tomatillos rather than substituting for unripe ones. That's a lot of food! My cherry tomatoes stopped producing. All weaken by bugs. Chillies are going strong though. What a harvest! I love the pumpkins.I am looking forward to making pumpkin soup with our grade one class next month. That's quite the harvest! I'm sure they'll be delicious since they're organic!